For nearly a decade, efforts have been made to prevent motorists from using electronic devices behind the wheel. Laws banning or limiting cell phone use have been passed throughout the country in more than 40 states, and public education campaigns have aimed to inform people about the tremendous risks associated with operating a vehicle while your brain is focused elsewhere. Despite these efforts, however, a new article from USA Today suggests that the lessons aren't sinking in. Drivers continue to focus on their phones or other electronics on the road, even when they are aware of the risks. These motorists put themselves and others in grave danger and victims of collisions caused by distracted driving need to know their rights. An Atlanta car accident lawyer can help pursue a damage claim after a distracted driving crash so those who are harmed can be compensated for their losses. Over the past six year period of time, the percentage of drivers who do activities on their smart phones while operating their vehicles has steadily increased. This troubling information comes from a survey that State Farm has conducted each year since 2009. The survey measures drivers behaviors, and their attitudes, about distracted driving. The research shows that driver behaviors don't always match up with their beliefs. In 2009, 15 percent of motorists admitted to reading email while driving, but this year 25 percent said they email behind the wheel. In 2009, only nine percent of motorists admitted to looking at social networks while driving their cars, but this year a full 20 percent said that they look at Twitter and other social networks. This dramatic increase in the number of people online while operating vehicle has occurred at the same time as motorists have reduced the amount of time they spend talking on the phone while driving. Unfortunately, this means that motorists have traded one high risk behavior (holding their phone and talking) for another, even higher-risk, action. The director of technology research for State Farm says it is unclear why Internet use has increased while people are driving. One possibility is that people tend to have misconceptions about what they can do while still being safe drivers. Many motorists believe they can multi-task and may think that looking at their phone or social media account will only take a second so it is safe. Unfortunately, the reality is that it is really dangerous to try to text, read or send emails, or look at your social media sights in the car. No driver should be doing these behaviors and those that do need to be held accountable if their negligence and carelessness causes a crash to happen. 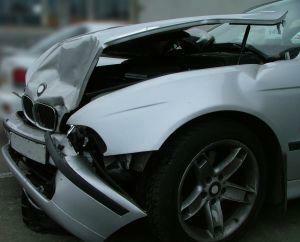 The Atlanta car accident lawyers at Van Sant Law, LLC can represent you after an injury in a motor vehicle crash. Call today at 404-991-5950 or contact us online to schedule your free consultation.